When Volkswagen announced it was working on a retro microbus that will be for sale in 2022, people went nuts. After all, it's a classic. 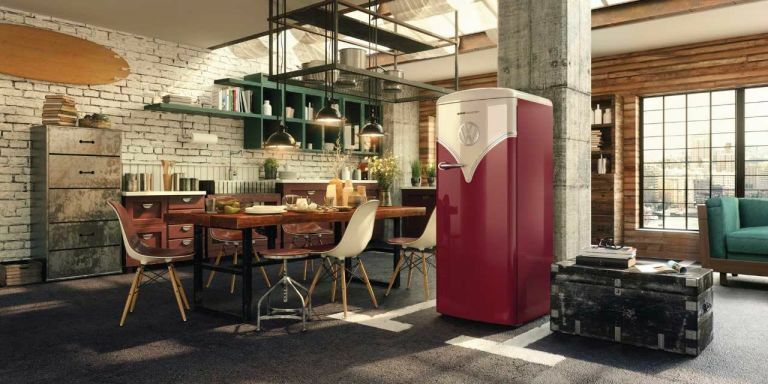 Which is why you might want to sit down for the company's most recent news: Soon you'll be able to park the iconic retro style you love in your kitchen, thanks to Volkswagen's partnership with Slovenian kitchen appliance designer Gorenje. 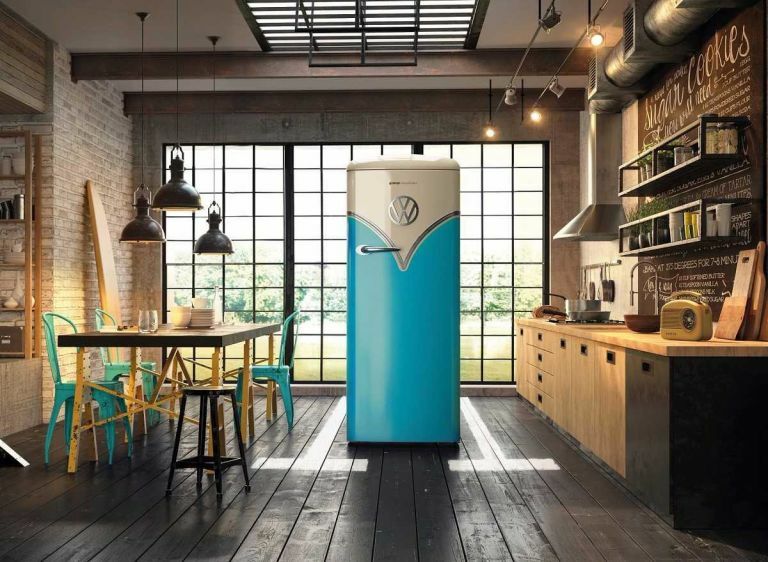 The two companies joined forces to create the Gorenje Retro special edition VW Bulli refrigerator. The charming design has a distinct vintage style on the outside, but inside it features some of the most cutting-edge technology on the market. We're talking DynamiCooling, which is an advanced fan system that evenly distributes the temperature throughout the refrigerator, reaching all corners and shelves evenly. Then there's the IonAir technology, which might be our favorite. It enriches cool air with extra negative ions that prevent unpleasant odors from taking over the inside of your appliance (like last night's fish leftovers) and helps food retain the good stuff, like minerals and vitamins, while staying fresh for longer. Genius. However, the worst part of the design is having to pick between the beautiful vintage baby blue or stunning Bordeaux red color options.